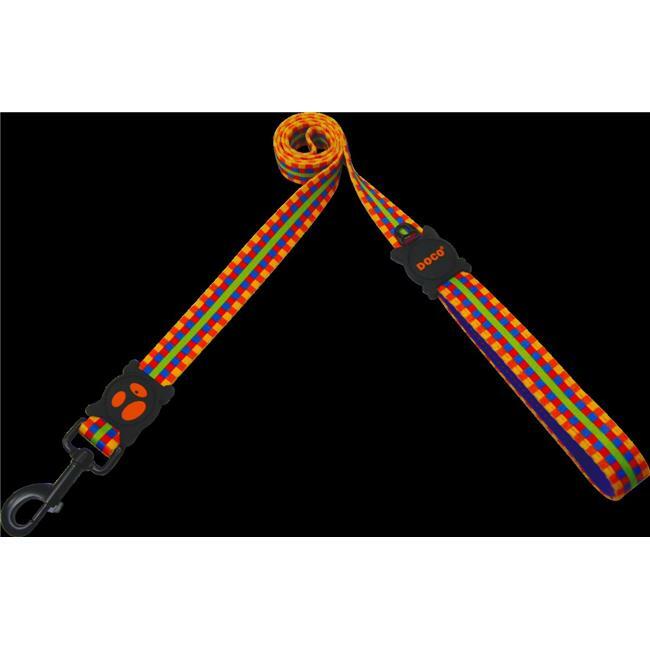 Loco heat transfer design dog leash are designed with our loco dog logo. Features soft, fray resistant and designed for generous hand loop for walking, hiking and running with neoprene handle. Loco loves the crazy and fashionable patterns, unique hardware and fully welded black anodized metal parts. The eco-friendly prints are colorful and fun. Black finished zinc alloy durable metal 360 swivel hook is comfortable to snap on any dog collar or harness. Make sure to select the matching collar or harness to complete your buddies look.